Learn about past temporary exhibits at the African American Museum of Iowa. Some past exhibits have inspired traveling exhibits, which are available for display at locations across the state. 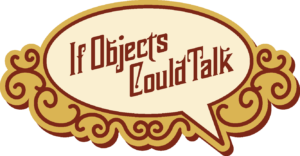 This exhibit offered a glimpse of the AAMI’s collection of thousands of objects, documents, and photographs. Each item tells a unique story about African American history, communities, and culture in Iowa. The exhibit showed how history can transform everyday objects into invaluable records that help us learn about local history, change over time, and our state’s diverse communities and people. This exhibit examined the history and evolution of African American literature from the 18th century to the present – from autobiographical slave narratives to the creative explosion of the Harlem Renaissance and from the Black Arts Movement to modern-day authors, poets, and playwrights. The AAMI’s 2015–2016 temporary exhibition explored African Americans who invented or improved dozens of items we take for granted every day. Many of these men and women are little-known, and few are household names. Some had very little formal education or training. Others were college-educated or earned doctorates. All made important contributions to our lives through perseverance, hard work, and ingenuity. The way we eat, grow our food, live, work, get from one place to another, and stay healthy have all been affected by these men and women. Their stories are more than a list of accomplishments. They’re a narrative of American innovation. Music tells a story deeper than the evolution of rhythmic patterns and vocal styles. It creates a soundtrack for our past. 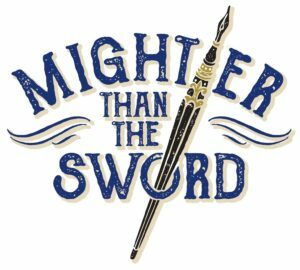 Words, in print or online, are usually our go-to for historical research. Yet in music, we can hear and feel history through lyrics, melodies, harmonies, and rhythms. 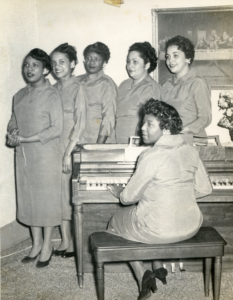 For more than 400 years, African Americans have pioneered diverse musical styles that influenced, and were influenced by, historical events and cultural trends. From spirituals to the blues, jazz to soul, and funk to hip-hop, this music is a narrative about African American history and the American experience. Listen carefully and you’ll hear the agony of slavery, the frustration of post-Civil War reconstruction, the urban pulse of the Great Migration, the determination of the Civil Rights Movement, and the realities of contemporary life. This exhibit explored life in Africa before it was forever changed by the slave trade. Western Africa experienced the rise and fall of many great empires and industries during the 1400–1600s. Rich in natural resources and diverse in landscape, this enormous expanse was home to millions of people. There were scholars, kings, nomads, farmers and merchants. Many lived as one with the land, which not only provided food and shelter, but also guided the ceremony and celebrations that shaped their lives. Visitors to this exhibit experienced African music, markets, food, and trades that were part of everyday life for thousands of people. Have you ever felt different from everyone else? Like you were the only one? Many Iowans can tell you firsthand what it is like to be the only minority on a sports team, the only female in a factory, the youngest employee in an office and more. The African American Museum of Iowa and the Johnson County Historical Society, in collaboration, presented this two-part exhibit that explored the experience of being the only one through pictures, oral histories and artifacts. The story of African Americans in the U.S. military is one of determination, courage, and honor in the face of almost overwhelming odds. African Americans have always served in the United States military. From the first shot fired in the American Revolution to current conflicts on foreign soil, African Americans have boldly taken their places in the ranks of America’s defenders. These brave black warriors have fought two fights. They fought for their lives against a deadly enemy, and they fought for their rights against a society that demanded their service but for decades refused them full citizenship. 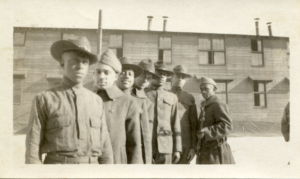 In Unconditional Loyalty, visitors discovered true stories of Iowa’s brave African American soldiers, sailors, airmen, and Marines from the Revolutionary War to the present. An African American woman’s Sunday hat is her crowning glory, but it’s just one of the many “hats” she wears. On Monday morning she heads to the office. On Tuesday she votes at the polls. On Wednesday she takes a painting class. Thursday evenings you find her at home, creating a website for her business. On Friday she grabs an hour for shopping. On Saturday she leads a club meeting, and then chooses her outfit and hat for Sunday morning. It takes an extraordinary woman to wear all of these hats — professional, artist, citizen, entrepreneur, mother. But is she rare? You probably know ten women like her, just as your grandmother did, and her grandmother before her. 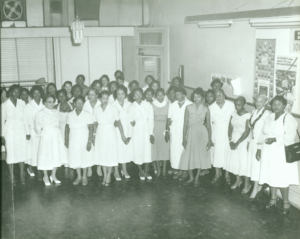 The African American women of Iowa have been dazzling in their many hats for 164 years. From the turn of the 20th century to the 1920s, south central Iowa was home to one of Iowa’s most unique towns. 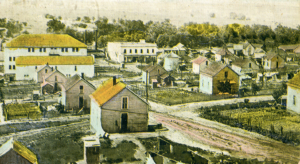 Buxton, a prosperous coal-mining town, was one of few in Iowa’s history to have a majority African American population. The mining business drew approximately 5,000 people to Buxton, creating a thriving economic and social community that lasted for two decades. Equality was an important part of Buxton’s success. Miners were paid equal wages, a standard home was provided for each family, and segregation was not allowed. This company policy dictated a general ethos of equality throughout the town. Many African Americans became prominent business and community leaders. This exhibit featured the dazzling art of Haiti, on loan from the Waterloo Center for the Arts. Haitians began to use flags in their religious ceremonies in the 19th century, copying the French tradition of blessing regimental flags. Before being used, each flag, or drapos, goes through a ritual baptism. The drapos beckons the spirit it represents to join the earthly gathering. Drapos have a high level of craftsmanship as each sequin or bead must be sewn by hand to overlap the one next to it. There can be 20,000 to 40,000 sequins in a single flag. Flags are made with sequins as it is believed that spirits love light. The AAMI’s first permanent exhibit was open from our grand opening in 2003 until being destroyed by the flood in 2008. The exhibit, which explored the history of African Americans in Iowa, was revamped and revised to be better than ever as “Endless Possibilities,” our current permanent exhibit. 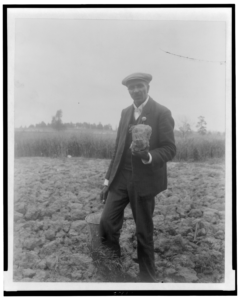 George Washington Carver began life humbly, but became one of the first renowned African American scientists. Born a slave, Carver moved to Iowa in 1890 to enroll at Simpson College in Indianola. Encouraged by his art teacher, he transferred to Iowa State University the next year to study agriculture. In 1896, he left Iowa for Alabama to head the new Agriculture Department at Tuskegee Institute. In addition to educating students, he taught southern farmers about crop rotation, animal care, food preservation, farming technology, soil maintenance, and self-sustainable farms. 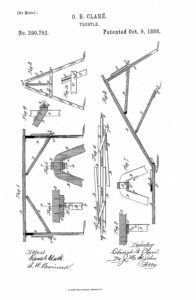 Carver also studied chemurgy (biomechanical engineering). This allowed him to develop hundreds of new food and non-food uses for peanuts, sweet potatoes and soybeans. 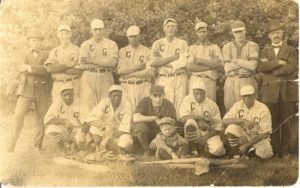 Since the late nineteenth century, Iowa’s African Americans have participated in a variety of sports and contributed in profound ways to Iowa’s sporting culture. In the United States, African Americans experienced severe discrimination in sports, as in other activities, but fought long and hard to overcome racism. In Iowa, as elsewhere, African Americans frequently used achievement in sports as a way to come together as a community. From the segregated playing fields of yesterday to the more open playing fields of today, Iowa contains countless African American sports stories that remind us of the broader struggle for civil rights in America. 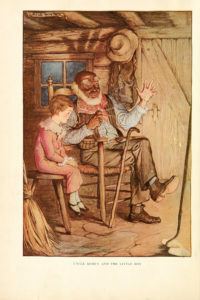 Books like Nights with Uncle Remus used stereotypical dialect to appeal to white audiences. Courtesy of the New York Public Library via Internet Archive. Dating from 1800 to 1990, objects from the collection of James Hicks explored how the public perceived African Americans throughout history. In the media and the arts, African Americans were often unfairly portrayed as contended slaves, ignorant brutes, promiscuous women, unkempt children, and criminals. These depictions were then counteracted with images of African Americans as brave soldiers, industrious workers, and everyday people. This exhibit used objects and images to show how images influenced public opinion about and toward black people from 1800 to 2000. We have lived in Linn County since the beginning. We have resided, worked, prayed, and played in Cedar Rapids and surrounding towns. We have celebrated and struggled, worked hard, and persevered. We have forged bonds through churches, clubs, workplaces, and schools — bonds of shared heritage, and experience. Thousands of African Americans have left their mark on this community, creating history every day, a history that is unique, special, and important. 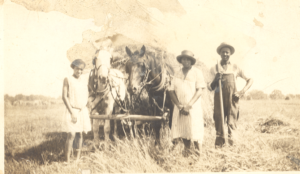 Lee County was the first county in Iowa to record an African American population over 1,000, and its population has remained above that number in every census since 1870. 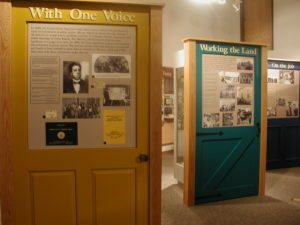 This exhibit told the story of ordinary African Americans in small-town Iowa and how they lived their lives — people like Charlotta Pyles, who arrived in Keokuk in the early 1850’s escaping from slavery with her 10 children; the Harper family of Fort Madison, who had six family members practice medicine in Lee County between 1918 and 1976; and Bud Fowler, who became of the first African American to play organized baseball in the 1880s. The exhibit was based on the work of Dr. D. Michael Warren, a professor of anthropology at Iowa State University from 1972 to 1997. 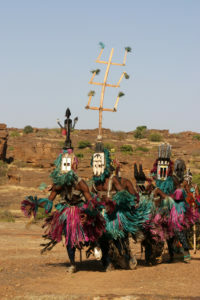 Warren began working among the Bono (an Akan speaking group in central Ghana) in 1964 as a Peace Corps science teacher. In 1972 he was awarded a PhD in anthropology from Indiana University for his dissertation on Bono religion and medicine. Over the next three decades, he became deeply involved in documenting aspects of Bono indigenous knowledge and promoting the economic development of the Takyiman Traditional Area. After Warrens’s death in 1997, his research collection was donated to the University of Iowa Libraries by his widow, Mary, and his daughter, Medina. More than 100 images from this collection were displayed in the exhibit. This exhibit told the tale of the Harlem Renaissance in two parts. The first part, a large bronze sculpture by Illinois artist Preston Jackson, focused on Chicago’s black neighborhood known as Bronzeville. The second part of the exhibit featured 30 photos of prominent figures of the Harlem Renaissance taken by Cedar Rapids photographer, writer, and critic Carl Van Vechten on loan from Cedar Rapids Community Schools. The exhibit featured the work of Cedar Rapids artist Jeni Reeves. 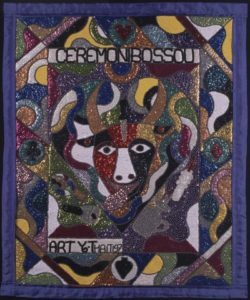 Through paintings, photos, and text from her journal, the exhibit explored how living in Africa from 1983 to 1986 changed Reeves’ art. After moving to Cedar Rapids in the 1990s, Reeves became an illustrator of children’s books, many of which have African American historical themes and include biographies of Frederick Douglass and Booker T. Washington. This temporary exhibit featured paintings and etchings based on Professor Betty LaDuke’s visits to 14 African nations. Art by Cedar Rapids elementary school students were displayed alongside LaDuke’s works. 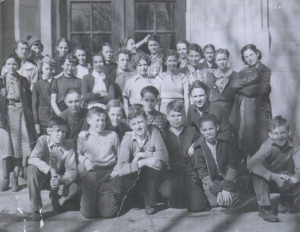 Life in Iowa’s black communities was vividly captured on film by students from Grand Wood and Johnson elementary schools (Cedar Rapids), Waterloo West High School (Waterloo), and “Kids Zone” (Keokuk).